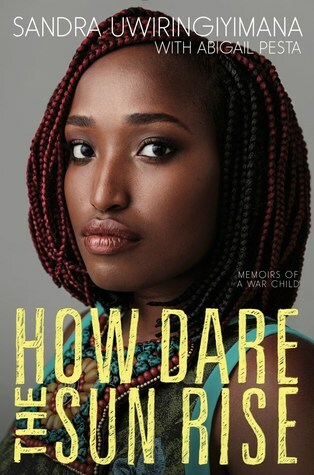 Sandra Uwiringiyimana’s stunning YA debut HOW DARE THE SUN RISE begins with a massacre in a Burundi refugee camp where she lost her sister. It goes on to detail not only the horrors of her experience as a refugee, but more importantly, the beauty and joy that she has grown up with. This #ownvoices story is powerful not only because it’s direct, but also because it is raw and beautifully depicted. You can see Sandra in a 2017 CBS interview here. Sandra has given several other interviews and appearances which you can find at the links below. You can follow Sandra on Twitter. I’m glad to see some quiet talk about this in children’s lit circles – I stumbled across mention of this book in an NPR piece, and was surprised not to have heard of it before. Thanks, guys, for uplifting this voice.